The screening of the film ‘Chalo Jeete Hain’ at Rashtrapati Bhavan last evening (on July 24), where Honorable President Ram Nath Kovind watched the film along with the who’s who of politics and sports, has generated tremendous interest through word-of-mouth, as well as on social media. Along with the President, cabinet ministers Piyush Goyal, Dharmendra Pradhan, J P Nadda, Anant Kumar, Mahesh Sharma, Ravi Shankar Prasad, Rajyavardhan Singh Rathore, Ram Vilas Paswan, M J Akbar and others watched the film. The film will be telecast across multiple Star TV channels on 29th July at 9pm, The film’s trailer has already received over 3 million views on YouTube within three days. The curiosity and buzz around the film and its leading into the #actofkindness campaign is so strong that the film is also to be screened in the Parliament for a huge audience, including school children tomorrow. #actofkindness is aimed at inspiring and spreading the message of doing some selfless act every day by each one of us, and thereby contributing in nation building. 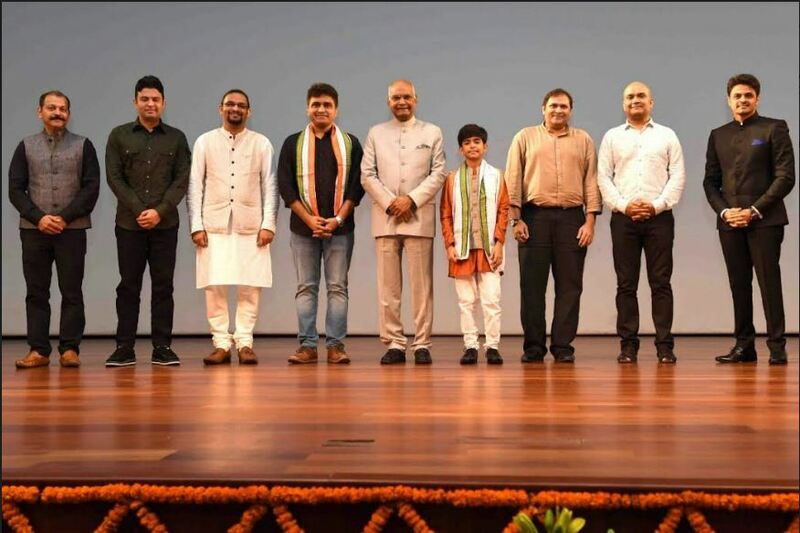 The film, which is based on an inspiring childhood incident of Prime Minister Narendra Modi is produced by Bhushan Kumar and Mahaveer Jain. Presented by Anand L Rai and Mahaveer Jain, the film is directed by National Award winning filmmaker Mangesh Hadawale.